As an admin, you may need to edit the fields of multiple expenses at once before approving them. For example, if you want to change the merchant name for a group of expenses, or if you've made a change to your category names you may need to update the categories en masse. 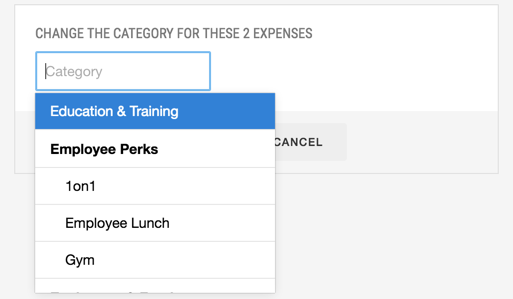 Using these features in conjunction with our Filters is a great way to make the necessary changes a certain subset of expenses. 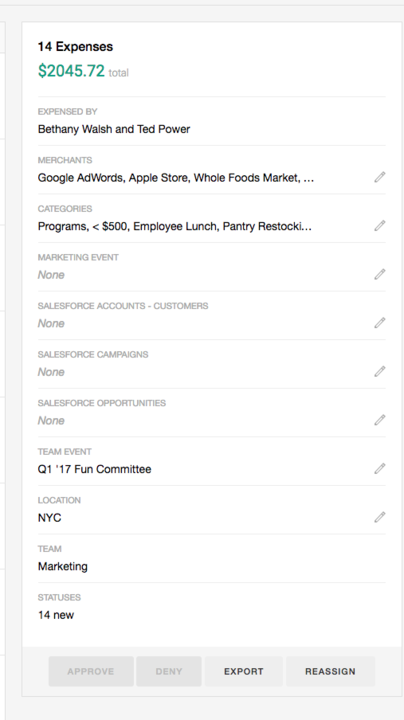 Learn more about using filters to create custom reports here.